Outgoing to Crackerjack Kid – USA – iuoma.org – Interested in Mail-Art? 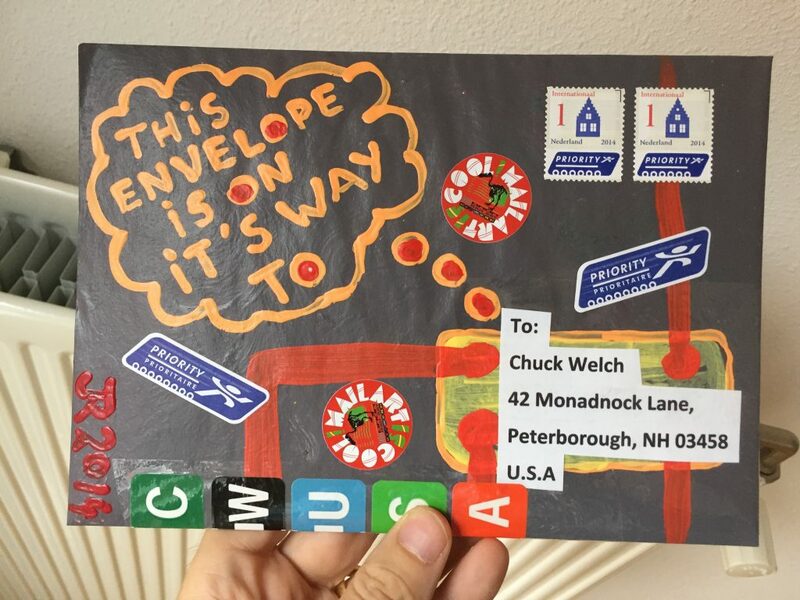 Chuck Welsh (Crackerjack Kid) wrote somewhere on the Internet that he hadn’t received any of my latest mail envelopes. So that is why I decided to send him a special one. Includes a few updates on what I do and have done in the past years.